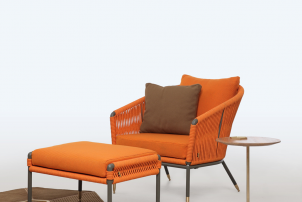 Hex 6 Carpet is an outdoor hexagonal rug available in three sizes, woven in Gildo Ropes which is a larger variant of our exclusive Tech-Ropes. 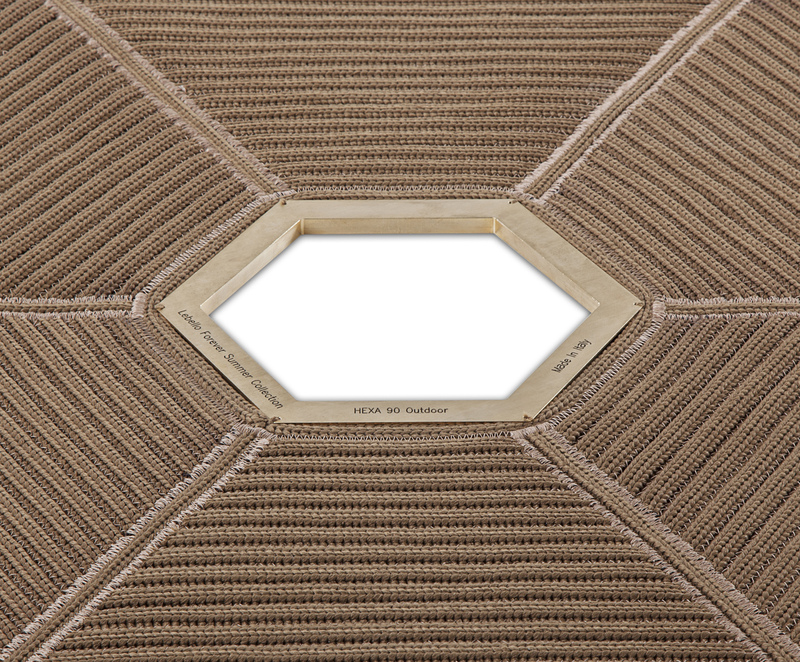 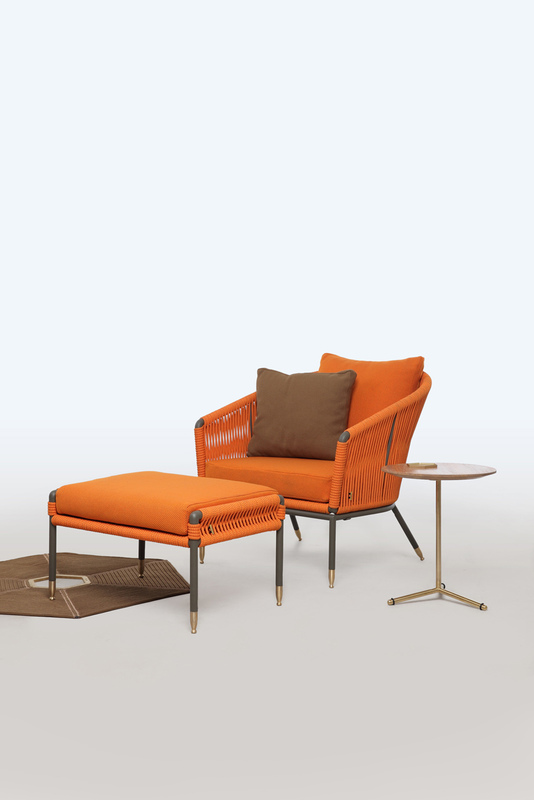 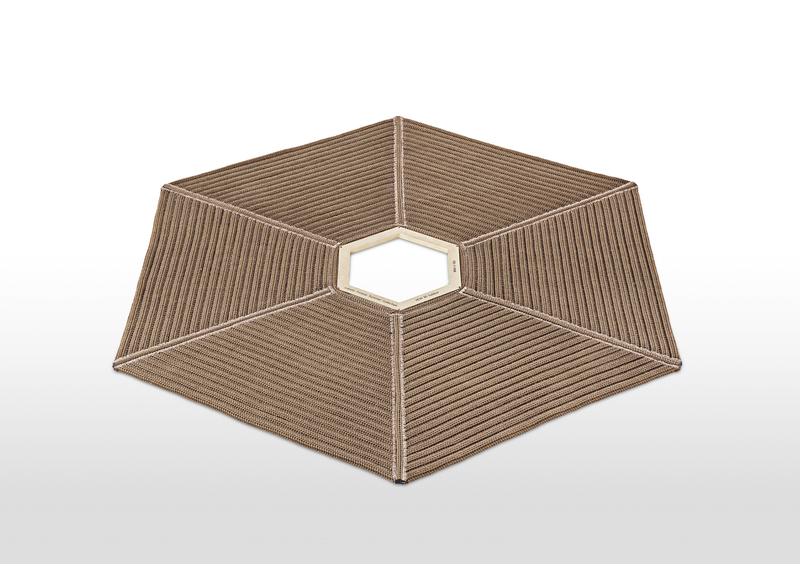 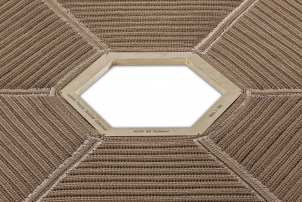 The middle ring insert adds up a sophisticated feeling to the contemporary rug and goes in brass or metal. 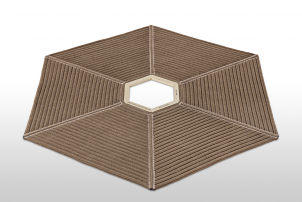 About the Hex 6 Carpet in 90 and 140.